Cashless health insurance is a boon for an insured person when hard cash is difficult to come by. In a reimbursement health insurance policy, the insured person has to pay the hospital bills himself/herself and then claim reimbursement from the insurance company. Cashless health insurance is a boon for an insured person when hard cash is difficult to come by. 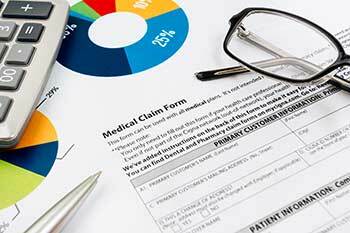 In a reimbursement health insurance policy, the insured person has to pay the hospital bills himself/herself and then claim reimbursement from the insurance company. However, in the case of cashless health insurance policy, the insured person does not have to pay the hospital bills as the insurance company pays the hospitalisation and treatment bills directly to the hospital. Cashless policy benefits can be availed only at the network hospitals of the insurer. The list of network hospitals is available on the websites of all insurance companies. Also, in cashless insurance, usually a third party administrator (TPA) is involved in the processing, approval and settlement of a claim by the insured. There is a certain procedure to be followed for cashless policy. At the time of getting admitted into the hospital, the insured has to fill up a pre-authorization form available at the insurance helpdesk of the network hospital and submit it at the helpdesk . The pre-authorization form can also be downloaded from the TPA’s website. The TPA will then process the form and sanction a specified amount for treatment at the hospital. The amount sanctioned will depend on the insurance cover bought by the insured. The advantages of a cashless health insurance policy are many. First, the insured does not have to worry about money as the insurance company will settle the hospital bills directly. The patient does not have to retain copies of bills, documents, medical tests and other reports, discharge report, etc. as the hospital sends all these to the insurance company (through the TPA) directly. Also, the insured does not have to run around the get the amount reimbursed after submitting the claim as in the case of reimbursement health insurance policy. All of these facilities and features of cashless health insurance policy makes life easy for the insured.